We knew this was coming. The Federal False Claims Act (FCA) 31 U.S.C. 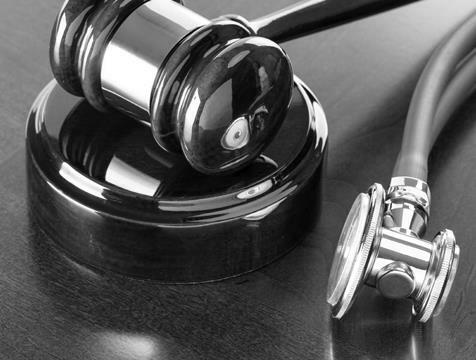 §§ 3729-3733 has long been discussed as a way for the Justice Department and qui tam plaintiffs to enforce the Medicare Secondary Payer (MSP) 42 U.S.C 1395y(b), et seq. statutes. What we didn’t expect was that the first big FCA suits would be brought against the payers and not plaintiff’s counsel. Well, we were wrong about that. In two recently unsealed matters, United States of America, ex rel J. Michael Hayes, v. Allstate Insurance Company, et al, 1:12-cv-01015, USDC WD NY and United States of America, ex rel Dr. Kent Takemoto, 1:11-cv-00613, USDC WD NY, the plaintiffs allege that virtually every major general casualty insurer in the United States engaged in “Fraudulent Avoidance of Remitting Monies Owed to Medicare Under the Medicare Secondary Payer Act” all in purported violation of the FCA (The United States declined to intervene in either case). The gist of the Hayes complaint is the allegation that the defendants/payers avoided reimbursing Medicare’s conditional payments by paying settlements to the plaintiffs and entering “general releases that shifted the responsibility to the claimants to fully reimburse Medicare, thus completely avoiding their statutory obligations under the Medicare Secondary Payer Act.” That is, by funding settlements and expecting the plaintiffs’ to reimburse Medicare as required by the MSP the defendants somehow intentionally defrauded Medicare. That same allegation appears in the Takemoto complaint, with a diabolical twist: Relator Takemoto was an MSP/Sec. 111 compliance consultant who systematically offered his services to each of the defendants. He named by his company “COMPsultation”. His complaint alleges that “COMPsultation offered each of the defendants a presentation advising them on the current structure of the MSP program, the potential impact of the MMSEA Sec.111 reporting requirements, and their potential liability under the FCA.” The complaint also alleges that the defendants declined to retain COMPsultation and presumes that, for that reason alone, the defendants did not have MSP compliance programs and, therefore, violated the FCA. In essence, Takemoto leaps to the conclusion that any payer company which did not retain COMPsultation as its MSP compliance consultants was not MSP or Sec. 111 complaint and was actively defrauding Medicare. (Many of us who provide MSP compliance consulting to payers or who work with the very many well trained MSP specialists within the insurance industry know Takemoto is wrong). The defendants will file motions to dismiss these claims and will, likely, be successful. But, the message is clear: The FCA is a real threat in the MSP world. Failure to comply with the MSP and Sec. 111—and the failure to carefully document compliance—could result in FCA exposure. Make sure that repayment of Medicare’s Final Demand is an enforceable term of every settlement, documented in the release, and that no funds are distributed to any plaintiffs by their counsel until Medicare is reimbursed and proof of claim satisfaction is provided. Document how the claimant will protect Medicare in the future in the release. Frilot LLC provides MSP/Sec. 111 compliance training, protocol development and settlement consulting to payers and defense interests. Our clients include Fortune 500 companies, major insurers and national healthcare systems. Please call Bruce A. Cranner, Esq. to discuss your MSP compliance needs. This entry was posted in POSTS on September 25, 2014 by ksintz.